The European Telecommunications Standards Institute (ETSI) currently establishes the Technical Specification ETSI TS 103 189 to assess the quality of speech of Voice-over-LTE (VoLTE) calls in future “Plugtests” and interoperability tests. This TS adresses Quality of Service (QoS) aspects and describes a test program to be carried out during ETSI VoLTE Test Events. 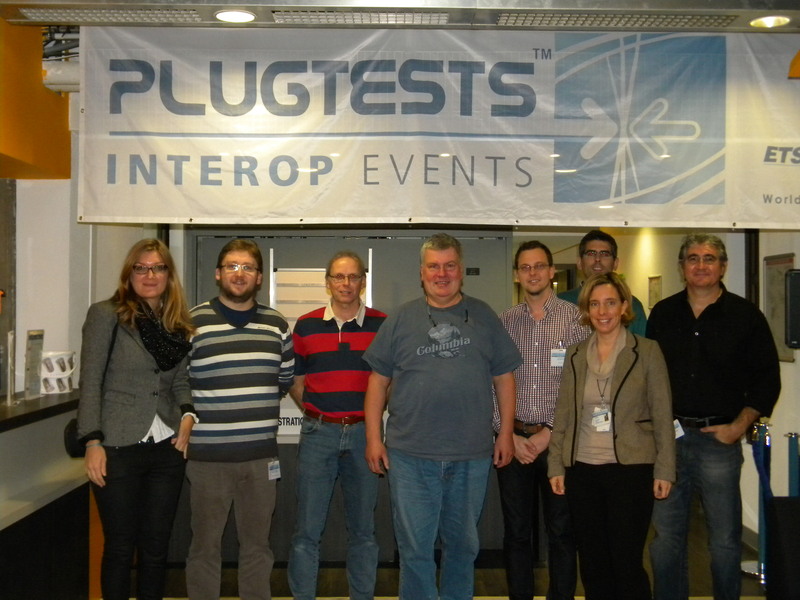 The VoLTE QoS Test Event carried out at ETSI premises in Sophia Antipolis, France from November 18-20, 2013 aimed at the verification and validation of the tests described in TS 103 189. 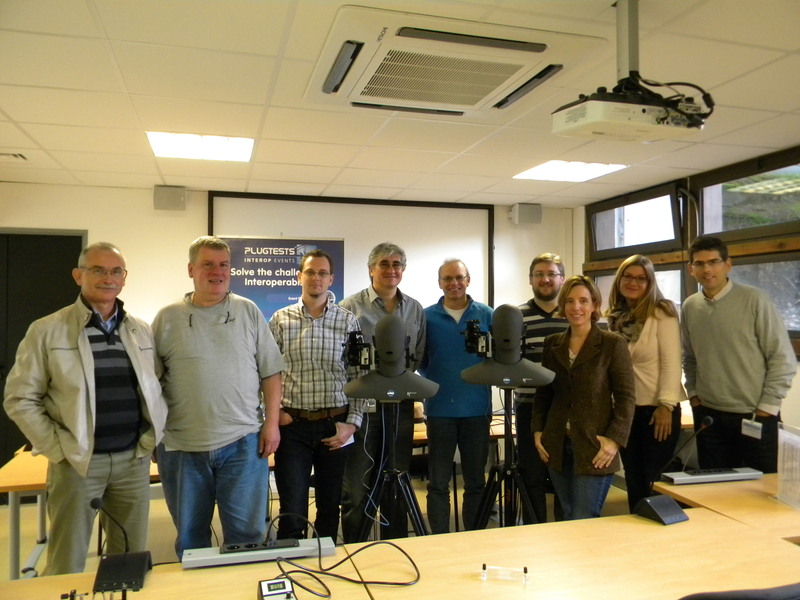 HEAD acoustics implemented the acoustic quality tests described in TS 103 189 in the HEAD acoustics analysis system ACQUA. The tests covered acoustical to acoustical scenarios between two terminals as well as electrical to acoustical, acoustical to electrical tests and tests between two electrical interfaces. The VoLTE network was accessed electrically by using the HEAD acoustics Measurement Frontend MFE VIII.1 in conjunction with a LAN-to-LTE router. HEAD acoustics supported this event by providing test equipment for the acoustic quality tests (such as artificial head measurement systems and the appropriate analysis tools), carrying out the audio quality tests onsite at ETSI premises and giving feedback on all findings to ETSI in order to finalize TS 103 189. ETSI Specialist Task Force (STF) 453 following the discussions and compiling the findings during this validation session for a revision of ETSI TS 103 189. The TS 103 189 tests could be validated and extended. 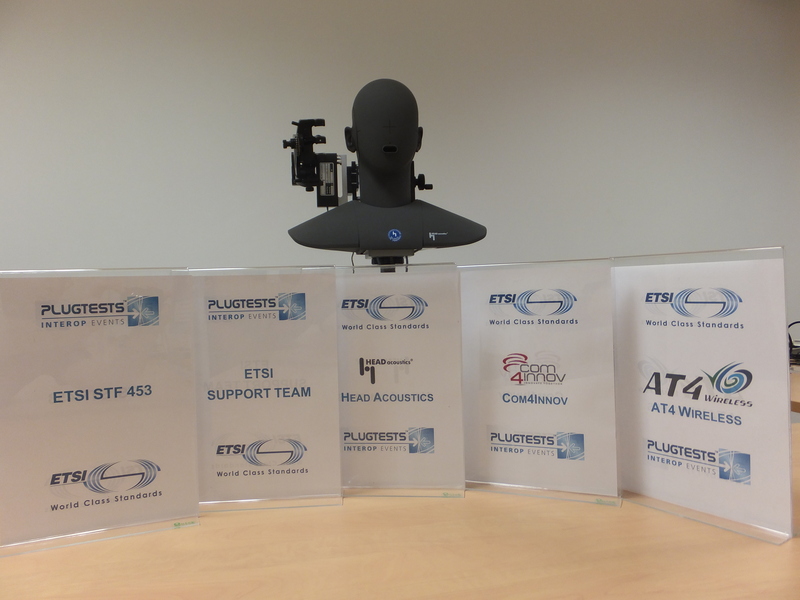 Furthermore, HEAD acoustics provided valuable input for new test scenarios for upcoming VoLTE plugtests or test events. For immediate release. In case of publication please notify and/or provide printed copy! HEAD acoustics was founded in 1986 and has been involved in noise and vibration, electroacoustics and voice quality testing since its inception. HEAD acoustics is based in Herzogenrath, Germany, with affiliates in USA, Japan and France as well as a world-wide network of representatives. The Telecom Division of HEAD acoustics manufactures telecom test equipment and provides consulting services in the field of speech and audio quality. Moreover, HEAD acoustics closely co-operates with DECT Forum, ETSI, ITU-T, TIA and other standardization bodies with regard to the development of quality standards for voice transmission and speech communication. In many partnership projects, HEAD acoustics has proven its competence and capabilities in conducting tests and optimizing communication products with respect to speech and audio quality under end-to-end as well as mouth-to-ear scenarios.